Toddlers and kids need repetition with structure. 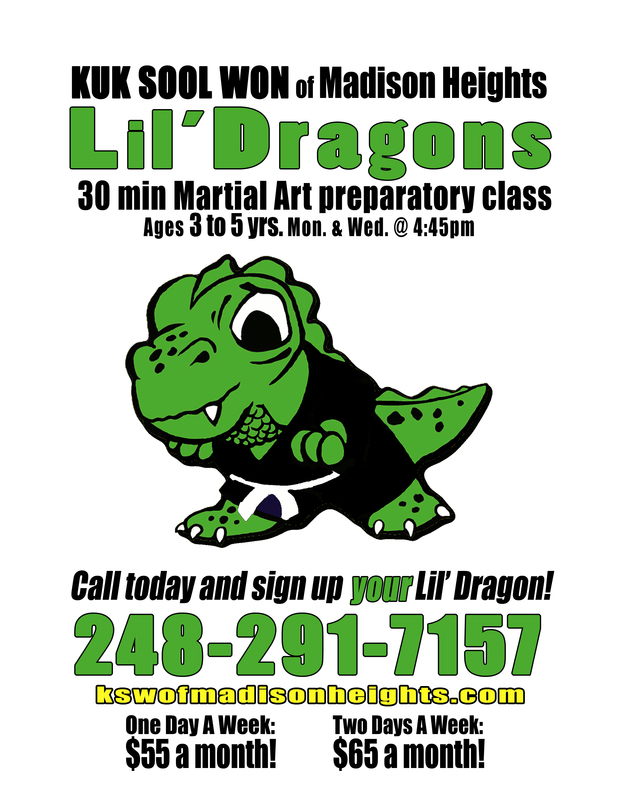 Mix in some games and fun you have a great mix of Martial Arts preparatory instruction. Focusing on balance, coordination, group participation and sharing skills. 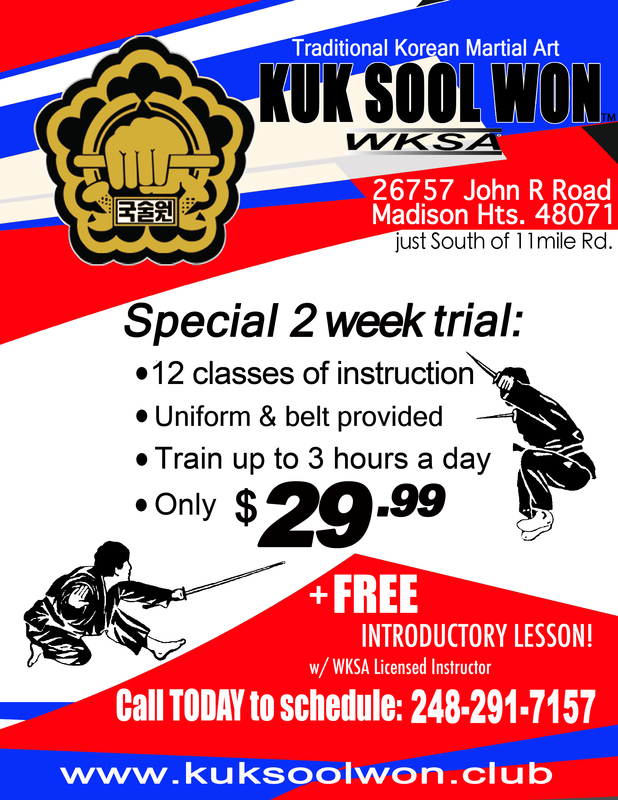 At Kuk Sool Won™ of Madison Heights, we teach the traditional values of martial arts, but with an upbeat, enthusiastic, modern approach. Kuk Sool combines kicking, punching, throwing, falling, joint-locking, pressure points, meditation, and weapons techniques into a beautiful and dynamic style that emphasizes speed & fluidity. It’s sure to meet your physical and mental goals on an individualized basis. Our instructors will familiarize you with some basic martial art techniques which will help you understand the benfits of the training, paving the way to start formal classes with confidence and optimism.